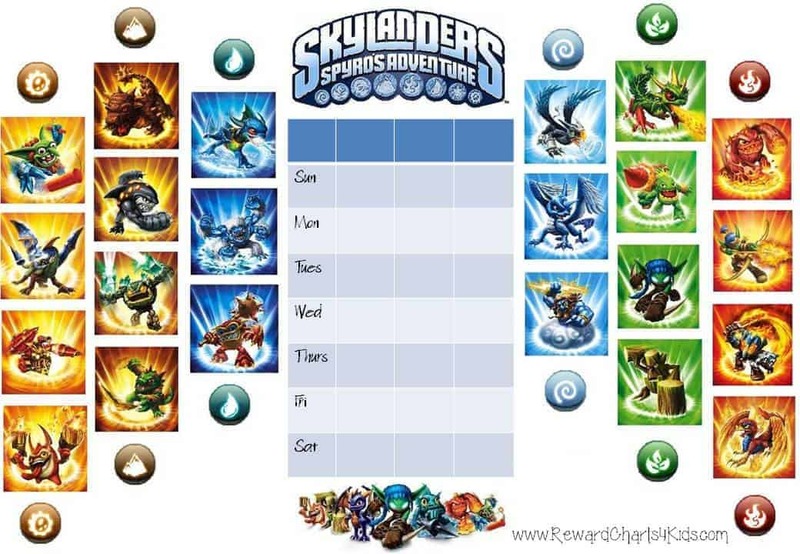 Andrea requested some reward certificates with a Skylander theme so we made these reward charts, behavior charts, chore charts and reward certificates for her and other Skylander fans. They can be used for various purposes. 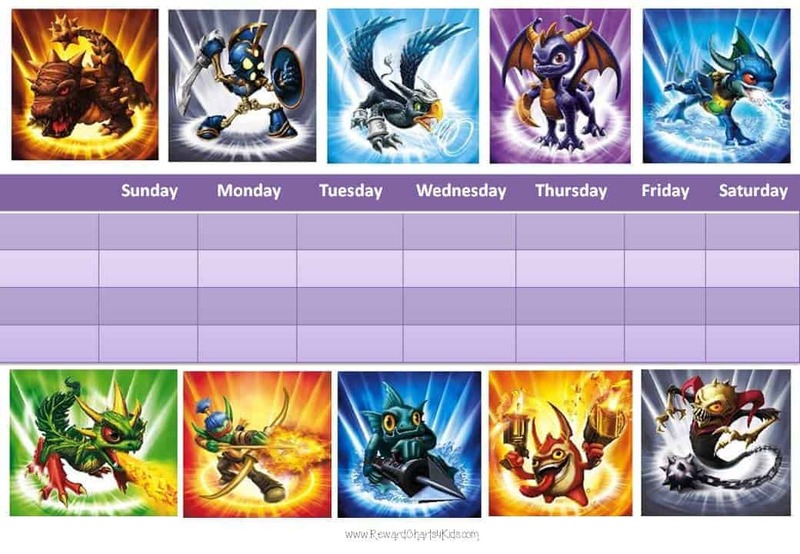 This behavior chart will target a specific behavior or a single goal. 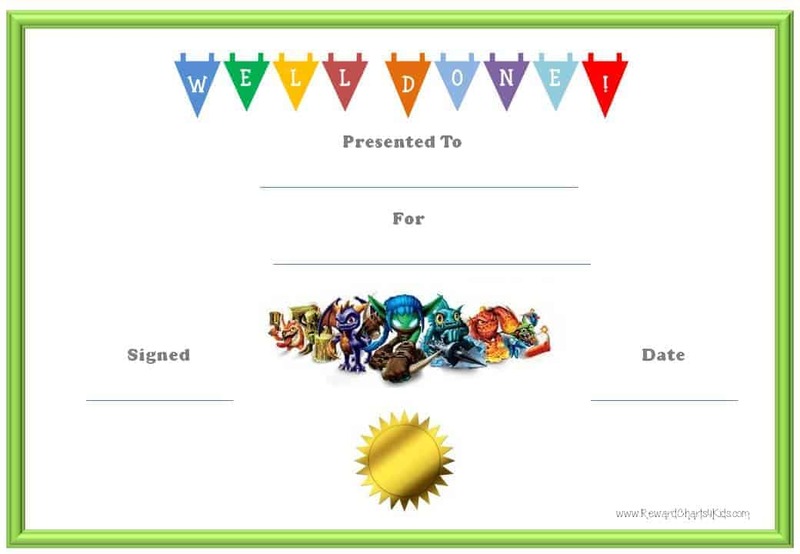 You can also use it to mark each time your child or student behaves well. 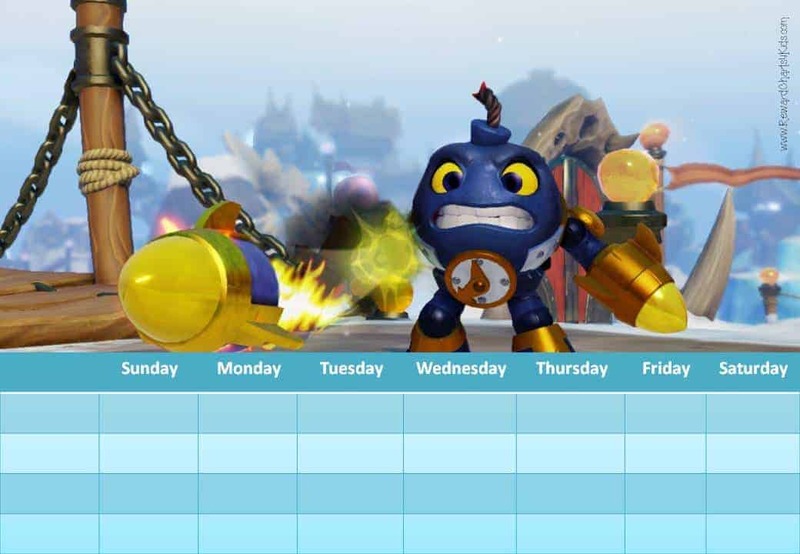 The following behavior charts enable you to track behavior over a one week period. You can also write the list of goals on the chart. 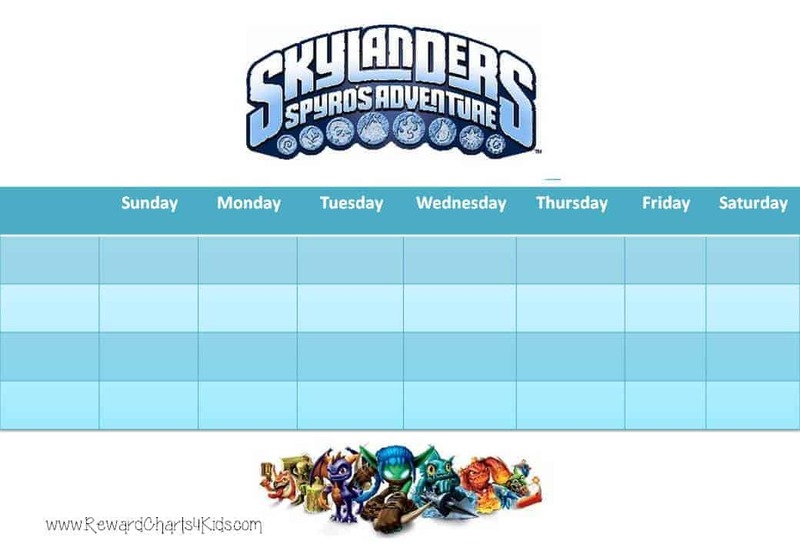 If you are using these charts as chore charts then you can add the chore list. If you want to use these charts a number of times then you might want to consider laminating them. 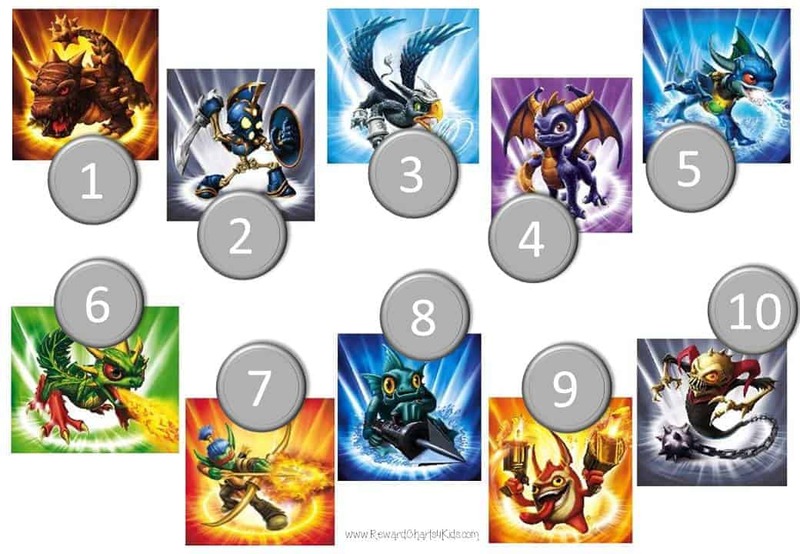 They will last for as long as you need to use them or as long as your kids are Skylander fans. 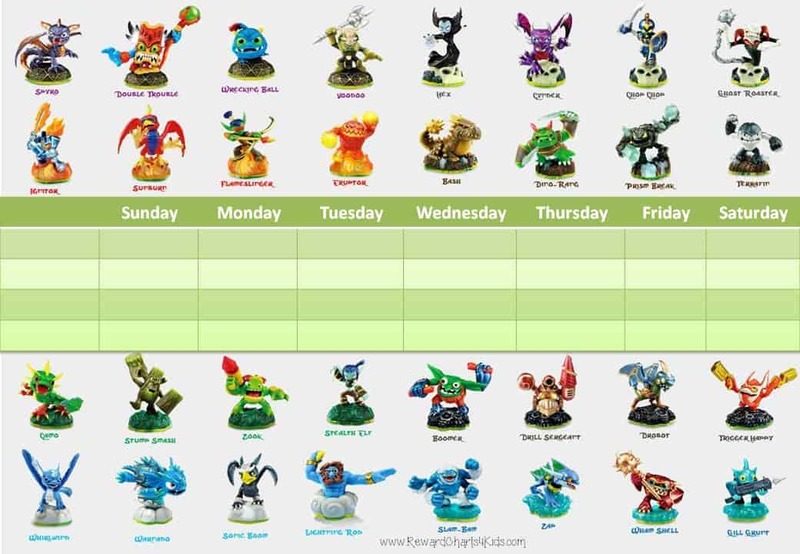 Need to reward a Skylander fan? 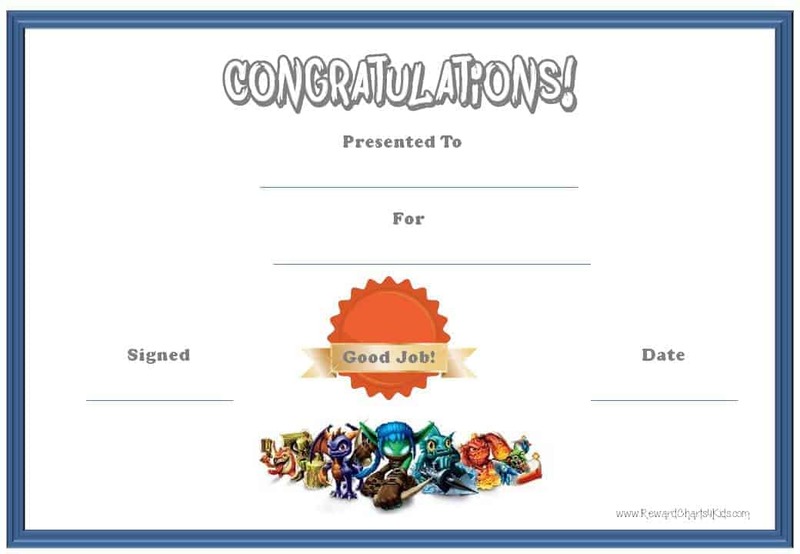 Try using these free printable award certificate templates.